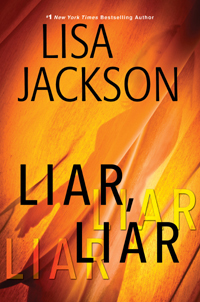 In this riveting page-turner from #1 New York Times bestselling author Lisa Jackson, a woman searches for the mother she hasn’t seen in twenty years, and uncovers a nightmare of greed and deception . . . In death, Didi Storm is finally getting the kind of publicity that eluded her in life. Twenty years ago, the ex-beauty queen worked the Vegas strip as a celebrity impersonator, too busy to spare much time for her daughter, Remmi. Shortly before she leaped from a San Francisco building, Didi’s profile was rising again, thanks to a tell-all book. To Detective Dani Settler, it looks like a straightforward suicide, or perhaps a promotional stunt gone wrong. But Remmi knows the truth isn’t so simple. Because though the broken body on the sidewalk is dressed in Didi’s clothes and wig, it isn’t Didi. Remmi was fifteen when she last saw her mother. They parted in the aftermath of a terrible night in the Mojave desert when Remmi—who’d hidden in Didi’s car en route to meet her crush, Noah Scott—instead witnessed Didi handing over one of her newborn twins to a strange man. Then Didi disappeared, as did Remmi’s other half-sibling. The authorities have found no clues. Yet Remmi has always sensed that someone is watching her . . . Remmi is shocked when Noah resurfaces. He was also in the desert that night, and now runs his own PI firm. He too believes it’s time to find out what happened. As they and Detective Settler dig deeper, the truth about Remmi’s missing family begins to emerge—a story of ruthless ambition and lies that someone will kill again and again to keep hidden . . .